Born in Santa Cruz de Tenerife, is part of the Conservatory of Music in the city where he studied with Isabel Garcia Soto. Later on in Madrid, he studied three years at the Escuela Superior de Canto Reina Sofía with Tom Krause and Manuel Cid. He has perfected his voice later with Carlo Bergonzi at the Academy of Busseto. The young tenor has presented in numerous recitals and galas of the Canary Islands and other cities in the Spanish mainland, in Dominican Republic, USA, the Netherlands and Belgium, was invited in 2003 to the opening of the season of the Opera House in Cairo -reminiscing what would be, in 1956, the debut of Alfredo Kraus in that same theater-. In 2006 he debuted with huge success in Busseto next to Leo Nucci in the role of Duke of Mantua of Rigoletto, role that will lead to Solothurn (2007), Zurich (2008), again with Nucci to Real Madrid (2009) and the Baths of Caracalla in Rome (2010). In the same 2006 season, sings the Mass in C minor Mozart (Oviedo and Madrid) and made his debut in the Opera House in Zurich as Ernesto in Don Pasquale, a role that interpreted from then until 2010 in Genoa, Trieste, Zurich, La Coruna and the Festival of Peralada. In the 2007 season, Celso Albelo debuts in the prestigious Academy of Santa Cecilia in Rome with The Fisherman of Guillaume Tell -directed by Antonio Pappano, opera with which also debuts in Amsterdam (2008) title repeated in 2010 in Santa Cecilia and recorded live for the label EMI. In the 2007 season he presented as Léopold (The Jewess / Zürich) and Gérald (Lakmé / Tokyo). During 2008, he debuts Rinuccio in Gianni Schicchi (Zurich) Elvino in The Sonnambula -in version of concert with Cecilia Bartoli- (Baden-Baden), Fenton in Falstaff (Cagliari), the tenor solo Stabat Mater of Rossini -under the direction of Alberto Zedda- (Festival of Pesaro) and Nadir in Les Pêcheurs de Perles (Trieste) -with Daniel Oren-.A special mention for his overwhelming success when he obtained in 2009 in the Comunale of Bologna as Arturo in (I Puritani - next to Yolanda Auyanet- role that repeated with huge success in La Coruna and in the Festival of Savonlinna (2009). In that same season will also take the roles of Leicester (Maria Stuarda / Zürich and Catania), Edgardo (Lucia di Lammermoor / Salerno) and Nemorino (L'Elisir d'Amore / Cagliari and Hamburg). In the last season 2010, Celso Albelo sung Maria Stuarda (Trieste), L'Elisir d'Amore (Salerno and La Fenice in Venice, production this with memorable "encores"), Don Pasquale (Festival of Peralada) and Tonio (La Fille du Régiment / La Coruña and Vigo), appearing in a Gala for the Xacobeo with Mariella Devia (Santiago de Compostela), in the eighth Concert-Tribute to Alfredo Kraus (Auditorio Alfredo Kraus of Las Palmas) and in several recitals (Oviedo, Parma Lirica, etc. ) 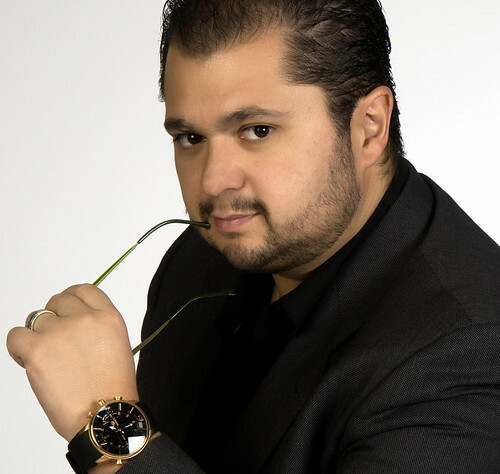 Celso Albelo received in august 2010, the Oscar della Lirica of the Foundation Verona per l'Arena, and in January 2011 the Prize National Lyric Theater Campoamor 2010 - in the category Singer disclosure, by his splendid interpretation of I Puritani in La Coruña.